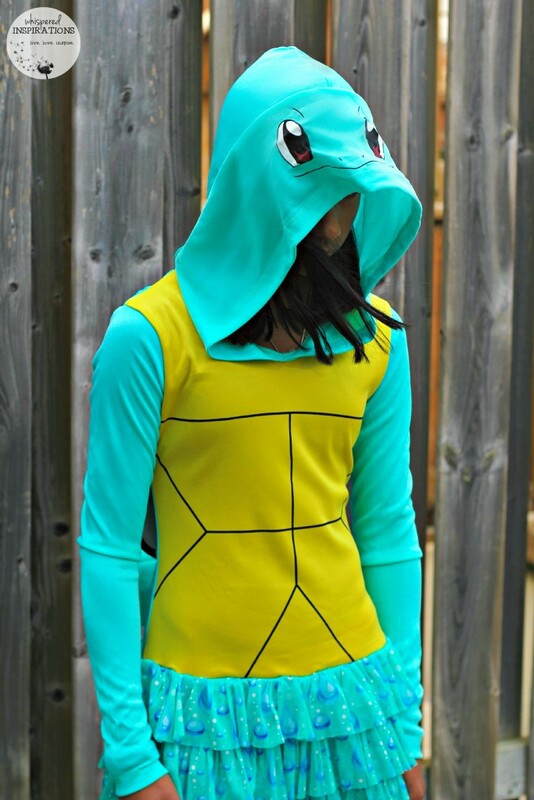 You are here: Home / Product Reviews / Babies & Kids / Gotta Catch Them All and This Pokemon Squirtle Costume is Perfect for Halloween. This was Gabby’s costume of choice for Halloween this year. I guess you can say that the apple doesn’t fall too far from the tree and I am not ashamed to admit that growing up, I was a fan of Pokemon. In fact, I’m going to age myself here but, I was 14 when Pokemon came out. I was a huge fan of Japanese anime in general and now, Gabby loves it too. When I asked her what she wanted to be this year, she immediately said she wanted to be a Pokemon. She just had to decide which one. It’s funny because out of all the Pokemon that exist, we just happened to have the same favorites. My all-time favorites are between Pikachu and Charmander of course and Squirtle following in not far behind in cuteness factor. I love shopping online for costumes, it’s easy and I avoid the crowds. It’s super simple and with their size charts, you will almost never get the fit wrong. I’ve ordered them several times and they’ve fit like a glove. Right now, they have awesome sales! Plus, they always have low-prices and a great selection. You can check out Costume Discounters and like CD on Facebook for the latest updates. This costume is perfect for warm climates and cold climates like our city. It has long sleeves and a hood to keep her warm and with a warm pair of tights, leg warmers and boots–she’s good to go! I found this Squirtle costume at Costume Discounters in case you were wondering or have a girl in your life that is a Squirtle fan. We all know that Squirtle is super cute and that includes that little coiled tail and turtle shell. 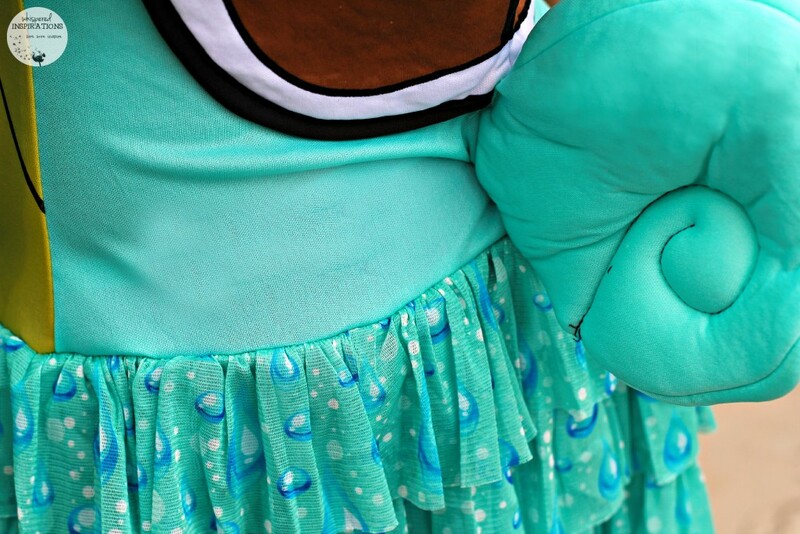 This costume appealed to Gabby because it’s cute. It’s a hooded dress with bubble pattern ruffles. For a tween who loves anime, this is a very good thing. One thing is for sure, she can’t wait to go trick-or-treating! There’s still time to get your or your child’s costume before Halloween and there’s always great deals! Just head over to Costume Discounters and find the perfect one! Previous Post: « Try NEW Alpha-Bits & Throw Your Own Halloween Party + $50 Gift Card Giveaway! Yes, the tail is super cute! That is such a cute costume and will be quite warm with a pair of leggings! Great looking costume and great that it can be worn with leggings! 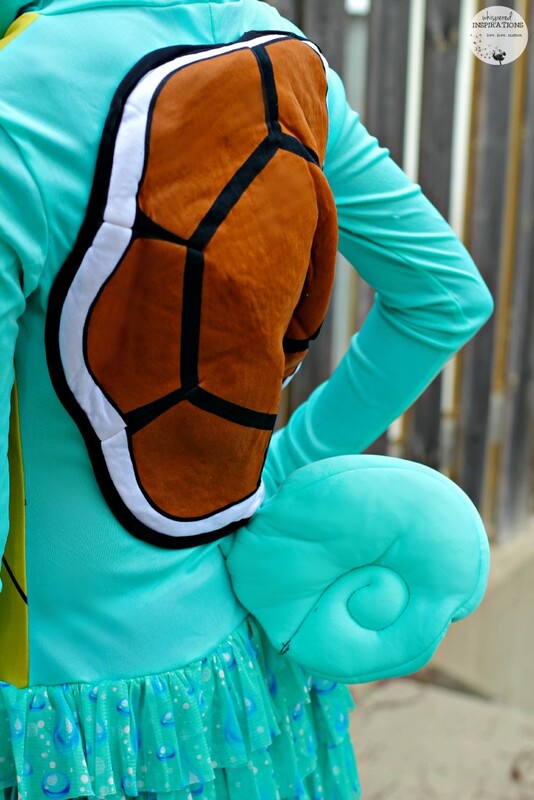 What a cute costume, Gabby looks great as Squirtle! Will have to check that online costume store out! It soon be time to start checking out outfits for the upcoming season,i sure love the one Gabby is wearing ! And Pokemon is back too! Yes,Pokemon is the big thing with the kids here this year and tomorrow starts the weekend were we order or start making our costumes for the season! Yes, with Pokemon Go, it is all the rage! My goodness Nancy can you believe it’s time to start looking for costumes ! It is that time of year already.